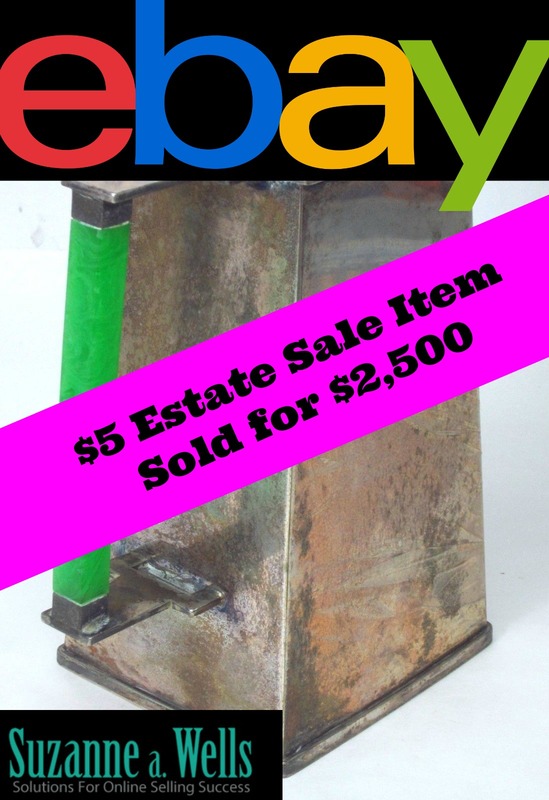 Learn What to Sell on eBay Fast - Cliffs Notes for eBay! 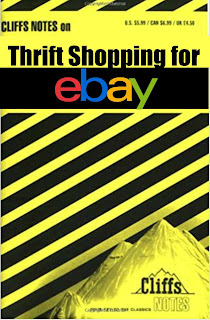 Should You Wash Thrift Store Clothing Before Selling on eBay? Remember Cliffs Notes from high school? Those study guides written to help you learn quicker, "ease homework headaches," and help you score higher on tests? Well, I have developed something along those lines for eBay sellers to help you study and quickly learn "what to sell" by recognition. These study guides are designed to help you learn to source products faster and learn by recognition, rather than trying to memorize a list of brand names, logos, or types of high profit items. Sharpen your sourcing skills by studying printed materials in addition to watching videos. 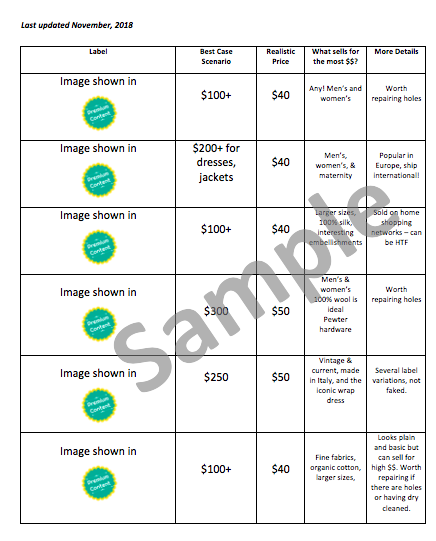 Printable! 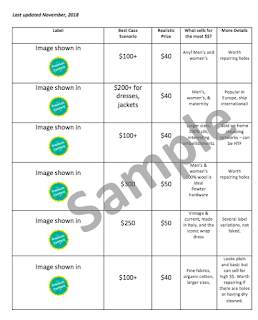 Print out and make your own study notebook to refer to whenever you want. Updated frequently so you are continually getting new information to enhance your sourcing efforts. Alphabetized for easy reference. Organization is they key to effective learning! Created by product category such as clothing, kitchen items, baby items, office supplies - organized the same way a thrift store has departments. Clothing brands are not usually faked. You know me, I stay away from problematic products that can get you into trouble on eBay. These are available in the Premium Content Library. So come on over and sign up so you can have access to this fantastic new learning tool. eBay is NOT dead, there is unlimited money to be made. This stuff is just sitting in thrift stores waiting for you! Join today - You don't know what you don't know! Being a mom is challenging. Whether you work outside the home full time, part time, or are a stay at home mom. All moms have their struggles. And you may be looking for a way to bring in extra income to change your employment situation. Maybe you work full time but really want to transition to being a full time at-home mom. Or maybe your part time job isn't working out the way you had hoped. Or maybe you are running a business from home, and want another stream of income. 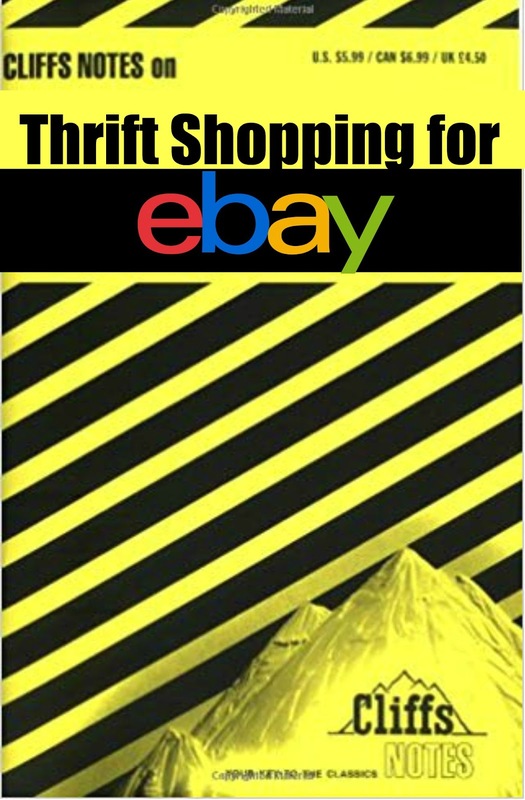 eBay could be your answer. Unlike MLMs, there are no start up costs to begin selling on eBay. And eBay is legit - unlike a lot of work at home scams out there. Parents have a steady stream of "product" to sell as kids outgrow clothes, shoes, toys, educational products, baby gear - you name it. Why get pennies on the dollar at a garage sale? Sell that stuff on eBay and recover your cost so you can have cash to invest in the next stage of your kids' lives. Check out this playlist especially for moms on YouTube. It is 7 hours of information to help you get started and be successful with your at-home eBay business. Millions of moms do it, you can, too! I bet you thought I fell into the black hole of the internet...well I kind of did! I am back now and will be breathing new life into my beloved blog. I've missed it! So let's talk about a HUGE eBay sale. George Kelly, who religiously posts on the Money Making Monday thread on my Facebook group, posted this sale of an antique art deco silver plated pitcher he bought for $5. It sold for a whopping $2,510! Look at how the bidding jumped from $89 to $2,400! Now who said eBay was dead - definitely not George Kelly! I was honored to be able to interview George on my YouTube channel. 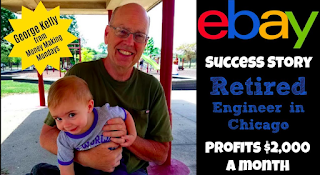 He is a 20 year eBay veteran and ran an estate sale company in his former life before eBay. Which is why we can all learn so much from him! Check out the interview here. Thanks for stopping by and I'll be back here blogging regularly! Oh and don't forget to check out my new Premium Content Library here - get a 30 day free trial with coupon code FREETRIAL. I've been selling on eBay every day since 2003. 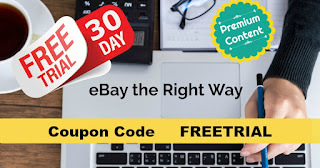 I have helped thousands of sellers build an eBay business along the way. eBay is a big place with many moving parts. 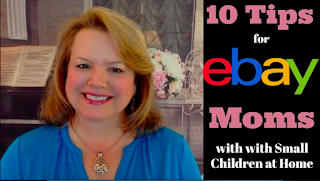 If you are just starting your eBay journey, here are a few tips to help you succeed faster. You must know how to price an item for the eBay universe. An item is only worth what someone will pay for it, and you can figure that out by looking at eBay completed listings. Here is a video on exactly how to figure out how to price items. Most people think they have to go out and buy stuff to sell. Not true! The average American home has 300,000 items, and $7,000 or more worth of things that can be sold online. I have worked with clients over the years who have decades worth of accumulation in their homes and it could take a good 6-18 months to work through it all. Here are some things you might not know even sell on eBay! Sellers often are enthusiastic when starting on eBay, and want to jump in by selling expensive items. Don't do it! You could be the victim of a scam. Start slow, small, and learn the ropes before offering high dollar items. Play it safe! Watch this video about designer handbags - one of the types of items you should avoid until you have more experience. Shipping is undoubtedly the most confusing thing to learn when you are new to eBay. Here is a great video tutorial, with a flow chart, to walk you through the process if figuring out what to charge for shipping. you don't want to overcharge the customer, and you don't want to short yourself either. Download the flow chart for free. If you are brand new to eBay and have just opened your account, you need to buy a few items to get some feedback. 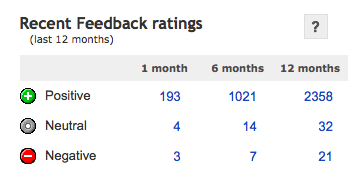 Your eBay feedback score is calculated from all of your transactions, not just your sales. So it is wise to be a buyer first, get some feedback, learn the ropes, and build your feedback score. Buy small inexpensive things you will actually use like cosmetics, office supplies, pet supplies, stickers for the kids or grandkids, or consumables. Then you won't look like a total newbie when you start to list your first items for sale. It is very, very difficult to sell anything with zero feedback, so get rid of that big obvious goose egg! Getting guidance, advice, and support from an expert will move you along the learning curve faster than trying to figure out the pitfalls all by yourself. I can help! Check out my eBay Basics Course here. If you have the basics down but still need help, my Premium Content Library is perfect. You get unlimited email support, new videos every month, and much more. I am here for you! This is a big seller controversy. 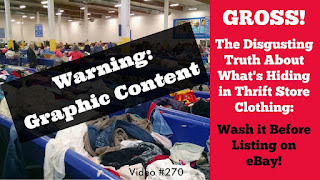 Here is what REALLY goes on in thrift stores and why you should wash everything that comes out of a thrift store whether you keep it or sell it. Watch the video here. Try not to get creeped out! eBay Podcasts Now on iTunes and Stitcher!